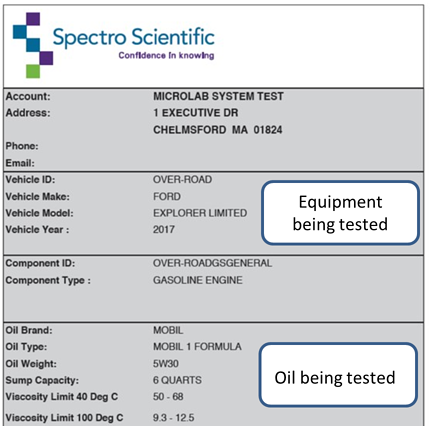 The MicroLab user inputs information about the equipment, component and oil that is being tested and the MicroLab’s Expert System produces a report that includes all of the analytical data that a typical oil lab would provide along with a series of diagnostic statements which advises the mechanic to possible equipment issues and also indicates the oil condition. Below that are the diagnostic statements for the current sample directing the mechanic on what maintenance action they should consider taking. 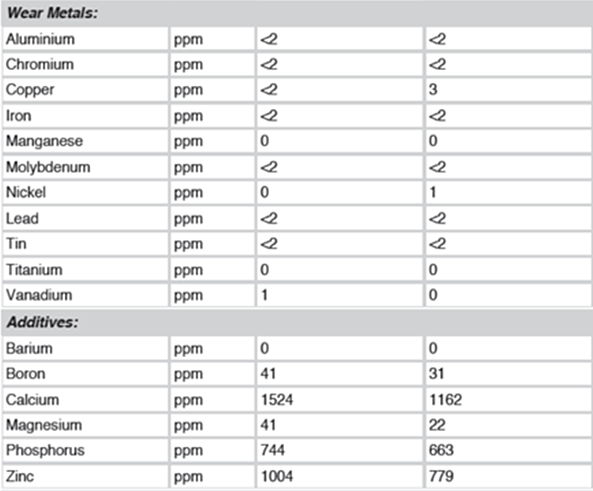 On the right side of the report are the results for the oil analysis. 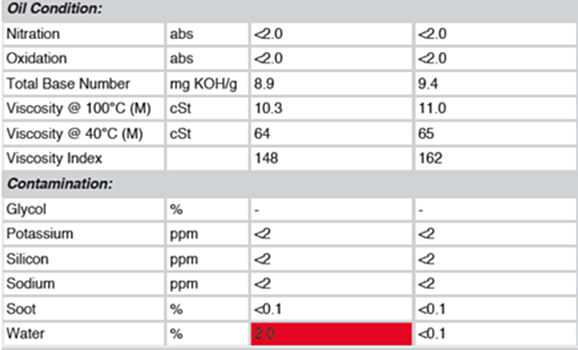 Next is the oil condition parameters: oxidation, nitration, total base number, and viscosity. These indicate the health of the oil and whether an oil drain extension can be considered. Parameters that indicate sources of contamination are listed next – these include contamination from soot, water, coolant and dirt. Next, wear metals are listed to show if there are indications of mechanical breakdown. 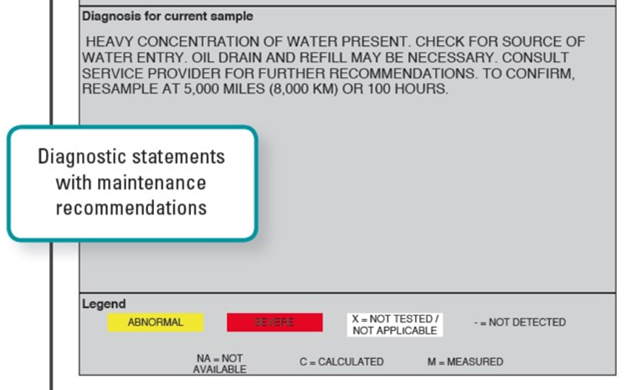 The oil additives are shown in the next section to show whether the additives are being depleted which is another indication that the oil is reaching the end of its useful life. 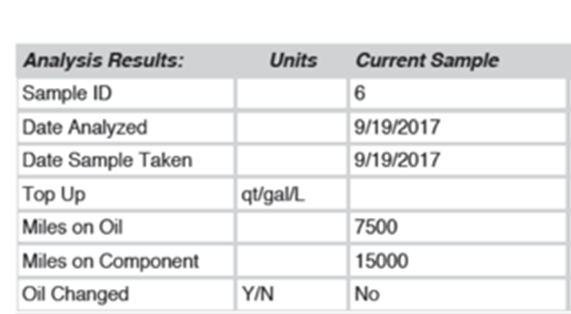 The MicroLab report shows the results for the current sample and up to 3 of the most recent historic samples for that same component. 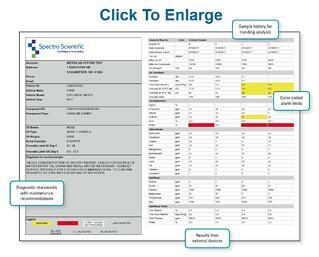 The MicroLab expert system translates all of the analytical data into maintenance actions so the mechanic doesn’t need to understand the chemistry behind the results --- for instance, they don’t need to know that sodium and potassium are chemicals found in coolants – if sodium and potassium are in highlighted then the diagnostic statements will say something like, coolant contamination present, check for sources of coolant such as head gasket leak, oil cooler leak or EGR valve if EGR equipped. The MicroLab is like having your own oil analysis expert on staff.